Winds farms, says Cheskey, “just can’t go everywhere. There should be certain no-go zones.” If turbines start killing birds and damaging biodiversity, “to me it’s no longer green energy,” he says. Read the full story and take the opportunity to comment here. Which part is the green part? Is it the trees & vegetation cleared to build 70 km of new roads? Or the 315 km of underground & overhead power lines? Or the fossil fuel burned to deliver 1,240 large truckloads? Or the mining & smelting to make the turbine parts? Killing trees to reduce CO2? 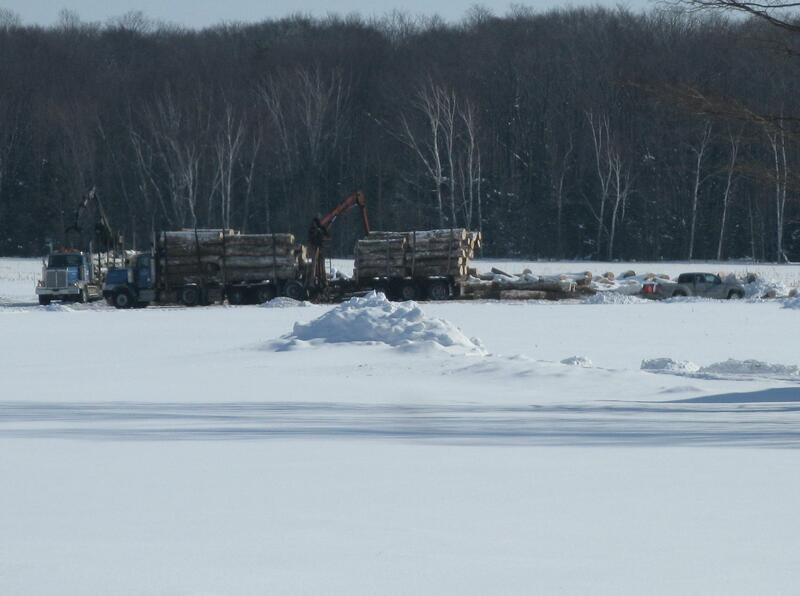 This picture was taken in February 2014, during the construction of wind project in Ontario, Canada. Building thousands of roads to reduce CO2? Note the width of the road compared to the road grader. This new wind turbine access road follows the treeline toward the horizon. 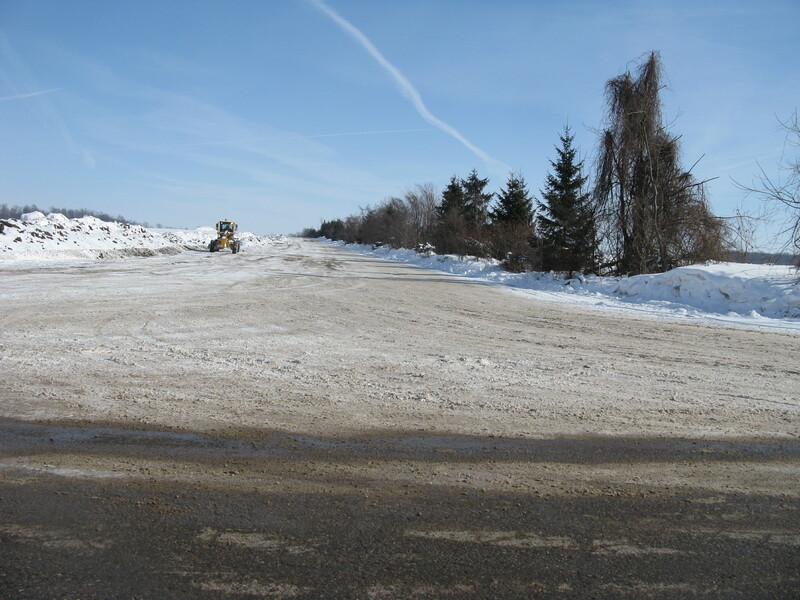 These pictures were taken in February, 2014 from the existing municipal road (dark horizontal strip in the foreground). The bottom picture has a sign indicating that 2 wind turbines will be accessed from the new road. New roads are being built for the almost 7,000 large wind turbines planned for Ontario, Canada. For a detailed list, open the spreadsheet on the home page. Tip of the hat to Ocotillo Wind Turbine Destruction for this find. Big turbines often incorporate rechargeable batteries or ultracapacitors to power their own electrical systems. When those get depleted, the power must come from the grid. This power goes into running equipment such as yaw mechanisms that keep the blades turned into the wind; blade-pitch controls that meter the spinning rotor; aircraft lights and data-collection electronics; oil heaters, pumps, and coolers for the multi-ton gearbox; and hydraulic brakes for locking blades down in high winds. You are currently browsing the archives for the Is this green? category.